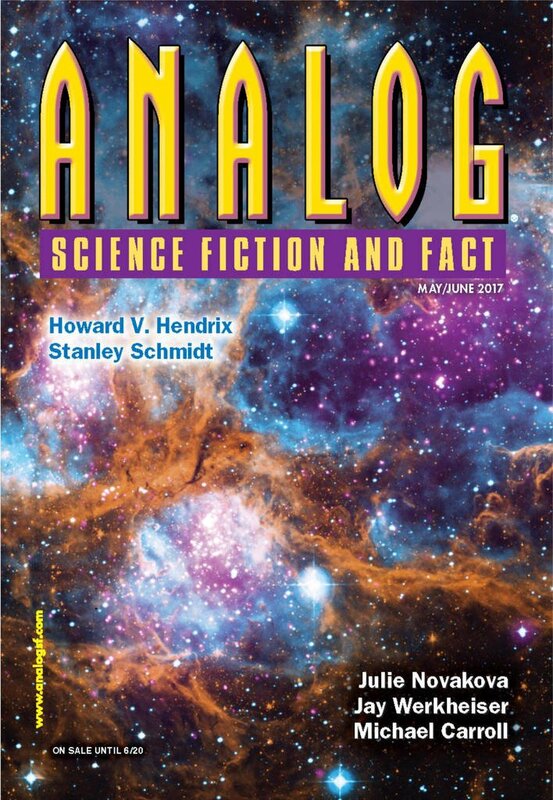 "Ténéré," by Manny Frishberg [bio] and Edd Vick [bio] (edited by Trevor Quachri), appeared in Analog Science Fiction and Fact issue 05-06|17, published on April 20, 2017 by Penny Publications. Pro: Azeez does find a technical solution to the core problem. He figures out that the excess oxygen is causing both the rust problem and has killed the trees at the oasis, and he proposes a way to fix it, so there's a complete, hard-SF plot. Con: It’s impossible to believe that Azeez won’t be fired for letting those armed men into the compound. The solution seems like overkill; a smokestack to release the oxygen at a higher elevation would probably have worked too. It’s also hard to believe an operation like that could extract enough atmospheric CO₂ to be viable.